The Riomote® radio remote control consists of a large waterproof and shockproof hand sender and a stable receiver. The system is provided with separate batteries (lifetime of 8 hours) and is supplied with battery charger. 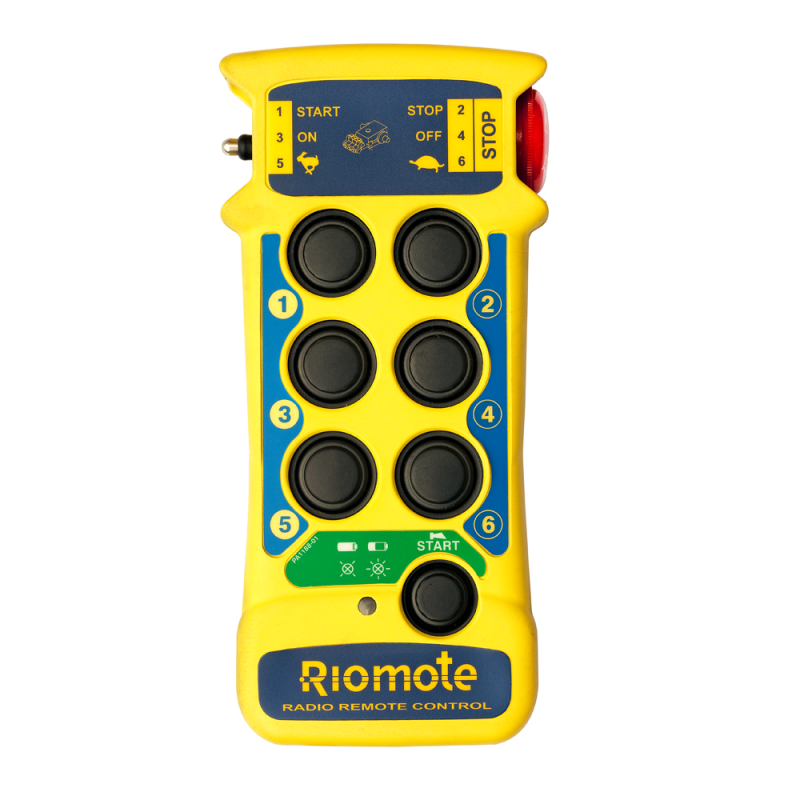 The Riomote® radio remote control is available in 5 channel, 7 channel and 9 channel.